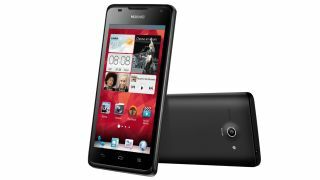 The Huawei Ascend G510 quietly broke cover at MWC 2013 in Barcelona earlier this year, but the Chinese firm has now officially uncovered the handset and confirmed its super-reasonable price tag. Coming in at £130 on PAYG, or for free on contracts starting at £13 per month, you'd assume the Ascend G510 would be a dinky little handset with nothing to really shout about. However a look down the spec sheet and you'll see it packs a 4.5-inch display, 1.2GHz dual-core processor, 4GB of internal storage, microSD slot, 5MP camera, 1,750mAh, NFC and runs Android Jelly Bean (version 4.1) with the firm's new Emotion UI over the top. We managed to get hands on with Ascend G510 at MWC and from our brief time with the handset we found that it was a decent entry-level handset, although Huawei's user interface may not be to everyone's taste. The low-end of the smartphone market is becoming congested and the G510 has a whole swath of handsets it will need to contend with, including its brother the Ascend W1 as well as the HTC Desire C, Orange San Diego and ZTE Blade 3. If you fancy getting your hands on the Ascend G510 then you will be able to from April 12, although Vodafone UK is the only network to offer the handset for now.